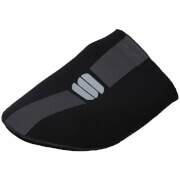 Arcene Waterproof shoecovers feature a rear zipped closure with an adjustable velcro flap, this offers easy dressing. A reflective back insert gives improved visibility . A thermoregulating membrane that offers excellent protection against water and wind, and maintains the microclimate between the skin and fabric wicking perspiration away. 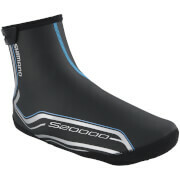 The extreme lightness and the shape recovery grant an excellent comfort without affecting the specific functionality. The revolutionary waterproof treatment with a drops roll-off effect rejects water, but also oil and mud, preventing them from penetrating into the fibres.The result is not only a maximum protection from the weathering but also easy wash and long lasting garments. reflective back insert,back closure with zip & adjustable flap. 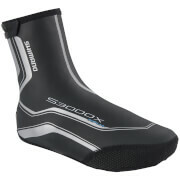 I purchased these as they were in the sale, having just gotten into cycling this year and the colder weather starting to set in and I used these yesterday for the first time in 8 degree weather for a few hours with no cold toes. For me the only downside (and it’s a big one) is the top of the overshoe where it fastens with Velcro is narrow, very narrow. As someone who wears a uk size 6/8 but I admit to having chunkier legs I cannot get these fastened by quite some way. I improvised yesterday by tucking them into my long tights but will likely be passing these to another member of my club who can make better use of them.